The Bokair sofa collection enhances the appearance of your living room with sleek dark olive velvet. 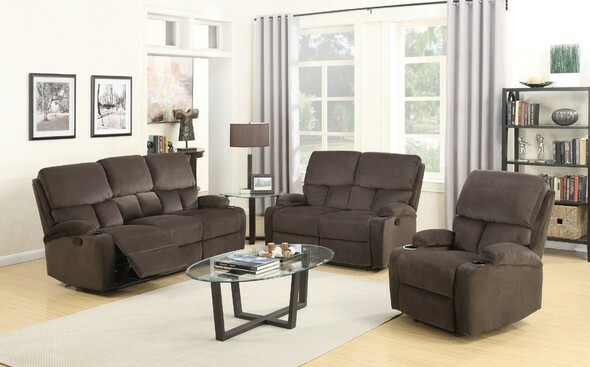 It features tight back and seat cushions with pocket coil construction for ultimate comfort. This set provides you the ability to adjust your seating position to suit your needs. It also provides cup holders for your convenience.